Baton Rouge, LA - Agriculture Secretary Tom Vilsack has announced the extension of the voluntary claims process for Hispanic and women farmers and ranchers who allege discrimination by the USDA in past decades. All claims must now be filed by MAY 1, 2013. Call center representatives can be reached at 1-888-508-4429. Claimants may register for a claims package (by calling the number or visiting the website) or may download the forms from the website. All those interested in learning more or receiving information about the claims process and claims packages are encouraged to visit the website at any time or to contact the call center telephone number Monday through Friday 9 a.m. to 8 p.m. Eastern Time. Claim packages and other documentation may be mailed to Hispanic and Women Farmers and Ranchers Claims Administrator, PO Box 4540, Portland, OR 97208-4540. Claim packages and other documentation may also be emailed to claims@hwfr.org. Claimants may also fax claims packages and other documentation to (855) 626-8343. Completed forms and documentation must be received no later than 11:59 p.m. PDT on May 1, 2013. Once a claim is submitted to the Claims Administrator, the Claims Administrator will determine if it is timely and complete. If it is, the claim will move to the Claims Adjudicator for a determination on the merits of the claim. USDA may submit evidence to the Claims Adjudicator regarding the claim. If a claim is deemed incomplete, a claimant will be notified by the Claims Administrator and given the opportunity to provide additional information within a certain timeframe. Claimants may check the status of their claims on the claims website. Claims Period: September 24, 2012 – May 1, 2013. 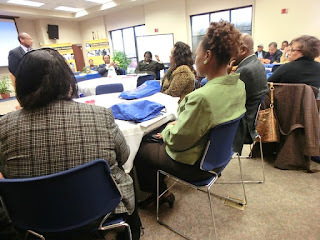 Baton Rouge, La - Research scientists who hold joint appointment on the SUBR campus and Southern University Ag Center are mentoring students to present their research findings at the 2013 ARD Symposium scheduled for April 8 in Jacksonville, Florida. The scientists have been working with 13 graduate and undergraduate students towards the 17th Biennial competition. The Symposium targets students from 1890 institutions across the nation, vying for top cash prizes in a stiff competition. The Association of 1890 Research Directors (ARD), Inc. is the federation of the 18 autonomous 1890 land grant universities that provides coordination of research initiatives among member 1890 Institutions in cooperation with federal, state and private partners. In 1890, Congress passed the Second Morrill Act for the enhancement of African American higher education. Since then, the Historically Black Land-Grant Institutions, commonly referred to as 1890 Institutions and located in 17 Southeastern states, have served as a vital national resource by supplying most of America’s university trained black population in the land-grant tradition. The 1890 institutions have a strong commitment to improving social and economic success for the United States. 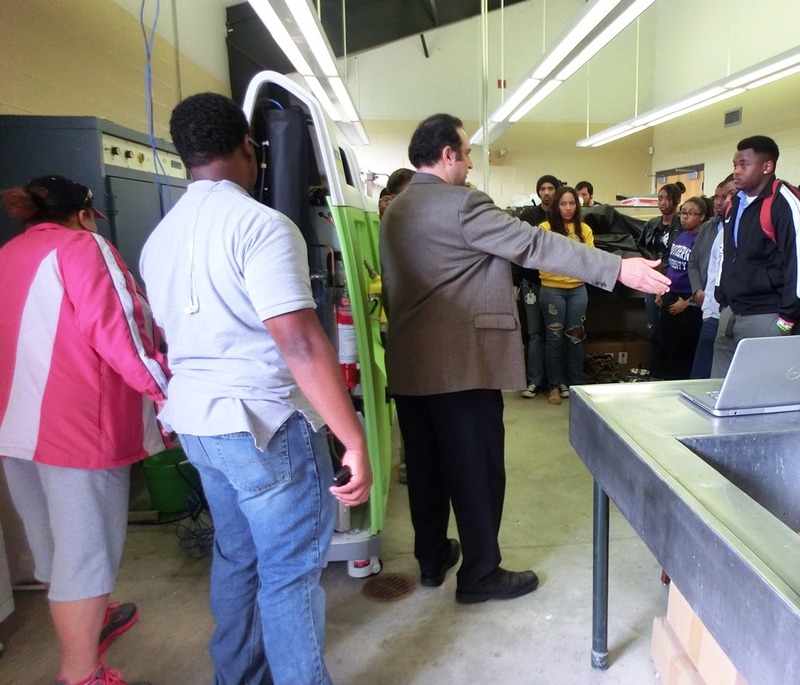 Baton Rouge, La - Southern University Ag Center’s Urban Forestry & Natural Resource Management Program research scientists, led by Dr. Kamran Abdollahi are always seeking different ways to reduce waste in the urban ecosystem in an environmentally friendly way, particularly in the aftermath of hurricanes. Dr. Abdollahi sought a novel and efficient technology to recycle tree debris that had stressed most of Louisiana following Hurricane Katrina in 2005. In his quest, Abdollahi collaborated with the industry sector and identified a state of the art Micro biofuel system that could produce biofuel from biomass. He obtained funding from the USDA National Institute of Food and Agriculture to enhance bioenergy education, research and outreach in Louisiana and the region. He also secured additional funding to acquire three Micro-Fueler systems from E-Fuel Corporation in California. Since then, Floyd Butterfield, the inventor of Micro-Fueler System and VP Biofuels, has made several trips to train research scientists and students on the proper utilization of the system. The Micro-Fueler (a Mini Biofuel Factory) is capable of converting processed waste biomass into biofuels such as diesel and ethanol. Mr. Butterfield indicated that the company’s goal is converting waste and agricultural feedstock such as corn, into fuel for vehicles and/or to generate power, further citing this as a more economical approach than transporting debris to landfills. “We think that fuel independence is valuable for everyone,” said Butterfield. The company foresees many additions and directions for the machine as well as biofuel production, especially given the constantly rising gasoline prices. Energy production is currently controlled by huge companies. Making the home ethanol system available to small scale producers through a sustainable self-generated means would boost the local and regional economies while benefiting the environment. Abdollahi and Butterfield are collaborating on creating public awareness with the possibility of setting up a training facility at Southern University Ag Center to benefit the south. 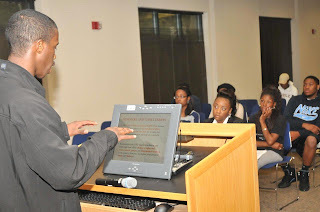 Louisiana State University is also a partner in the project and a representative made a presentation on the topic. According to the BioMass Energy Center, Biomass is biological material derived from living, or recently living organisms. In the context of biomass for energy, this is often used to denote plant based material, but biomass can equally apply to both animal and vegetable derived material. For further detail, contact Dr. Kamran Abdollahi at Kamran_abdollahi@suagcenter.com or 225-771-2242. 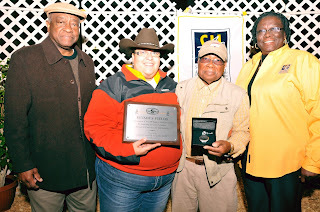 Baton Rouge, LA - The Southern University Agricultural Research and Extension Center will host its 44th Annual Horse Show and Trail Ride, April 12-13 at the Maurice A. Edmond Livestock Arena in Baker. Trail riders from as far as Texas, Mississippi, and North Louisiana will travel to Baton Rouge for the event. 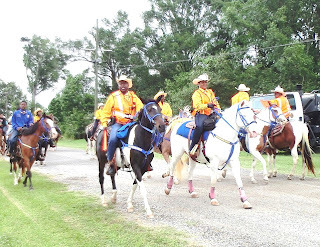 The horse parade will gallop around the Baker area with different horse riding associations, from which, first and second place winners will be selected by judges. Participated in the parade will include riders of all ages. Local entertainers will be on hand to perform at the event. Click here for event flyer. Baton Rouge, LA –The Southern University College of Agricultural, Family and Consumer Sciences, in collaboration with the Agricultural Research and Extension Center, hosted a workshop for 30 High School counselors to encourage student enroll in the food and agricultural sciences at Southern. The workshop was sponsored by USDA/NIFA grant entitled “JAGS in AG: Recruitment, Exploration, and Retention.” Dr. Renita Marshall, Associate Professor, serves as the PD for the project with co-PDs Dr. Rawls, Associate Research Director, Dr. Kenyetta Smith, Extension Specialist and Dr. Gary Simon, D.V.M. A website that can be downloaded onto mobile devices is available at www.jagsinag.org. This site will be updated as the project progresses. Baton Rouge, LA –The Southern University Agricultural Research and Extension Center concluded its 70th Annual Livestock Show with more than 350 participants from across the state this past weekend. This year, the show was a celebration of decades of service to youth, providing them opportunity to learn leadership and life-long skills, and build friendships for life. The Ag center developed a video depicting an oral history of the show. 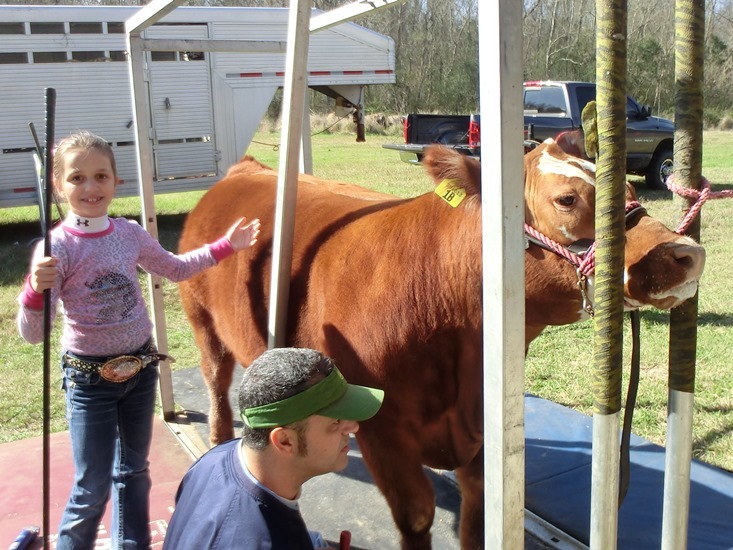 During the two-day event, young farmers and ranchers from across the state had the opportunity to display animals that were showcased or have won in parish competitions. After the show, judges named state champions in various breeds of beef and dairy cattle, hogs, sheep, lamb, and goats. The all-time favorite mini-farm, featuring a variety of small farm animals, and tours attracted school-age youth from local schools. Tour stops explained different animals, their food sources, farming, and how agriculture affects everyday life. Winners received premiums, rosettes, ribbons, and banners. An awards presentation for exhibitors of champion market animals was held, followed immediately by the Junior Auction Sale. 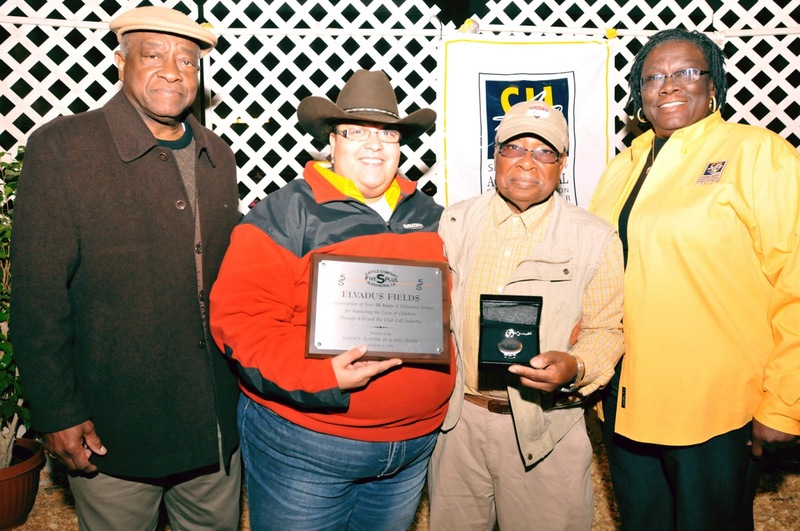 This year’s show was dedicated to long-time Livestock Show Director, James C. Archie who died this past December. He worked for both Southern University and Louisiana State University Ag Centers for more than 30 years. Baton Rouge, LA - The Southern University Agricultural Research and Extension Center’s 70th Annual Livestock Show is in full swing. 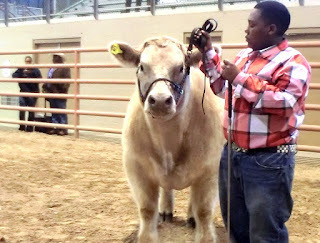 The day started bright and early with showmanship competitions, involving hogs, lambs, steers and goats. Group tours for local k-12 students included stops at cow milking, gardening, and potato harvesting stations. This family friendly event continues to draw crowd until Saturday, March 2.